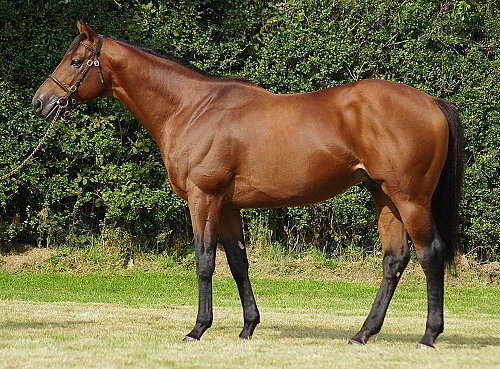 Won Challenge Stakes (Gr.2), at 3 years, 7f, Newmarket, beating a field of 14 Stakes winners, incl. Balthazaar's Gift (Gr.2), Duff (Gr.2), Captain Marvelous (Gr.2), Major Cadeaux (Gr.2), etc. Won European Free Handicap (L), at 3 years 7f, Newmarket, beating Fat Boy, Maze and Cake, etc. 2nd Horris Hill Stakes (Gr.3), at 2 years, 7f, Newbury, beaten a head. 2nd King Charles Stakes (L), at 3 years, 7f, Newmarket, beaten a head. 3rd Topkapi Trophy (Gr.2), at 3 years, 8f, Veliefendi, beating Collection (Gr.1), Sabirli (Gr.1), etc.